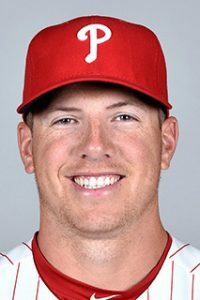 Former Big League Experience camper and Victoria Eagles Alum Nick Pivetta has received the call up to the Big Leagues and will be the starting pitcher for the Philadelphia Phillies on Sunday! Nick has had a great start with the AAA club, Lehigh Valley IronPigs, by compiling a 3 – 0 record, 0.95 ERA and striking out 24 over 19 innings pitched, while only walking 2. Nick’s 1st Big League start will be against the Los Angeles Dodgers at Dodger stadium and is potentially against 2014 NL MVP and 3-time Cy Young winner, Clayton Kershaw.